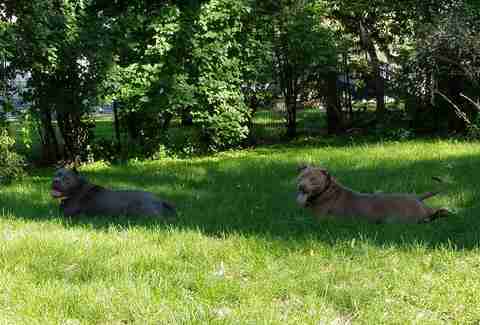 “I can't get them out of the beds to go out at night. 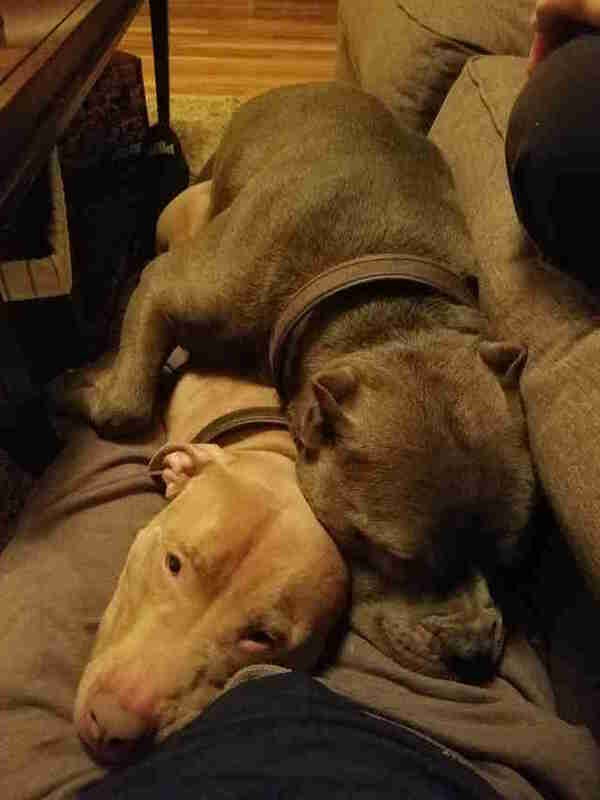 Normally when I come home after work they're all over me, but today they didn't even get up." Rowdy and Rigby have been living together for almost two years now and couldn’t be happier about it. 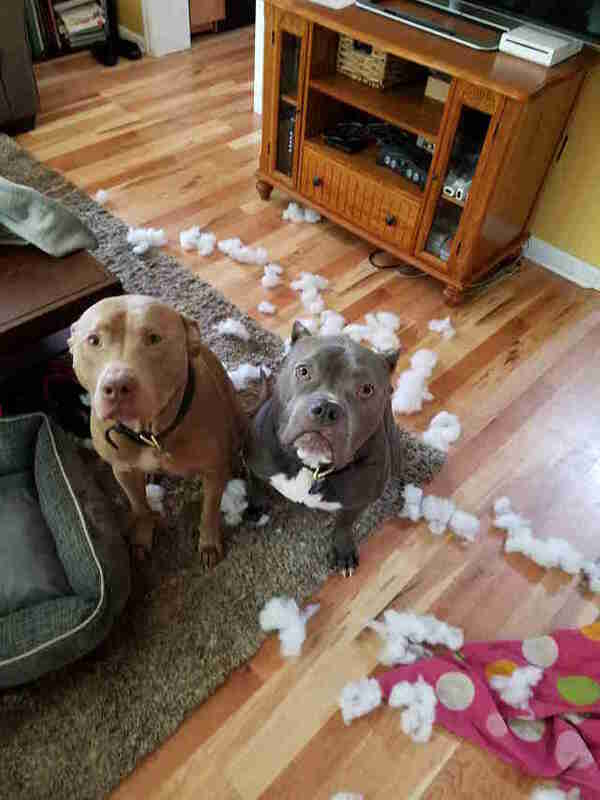 They adore each other and love doing everything together — though their personalities are very different, and they often have very different approaches to handling life. 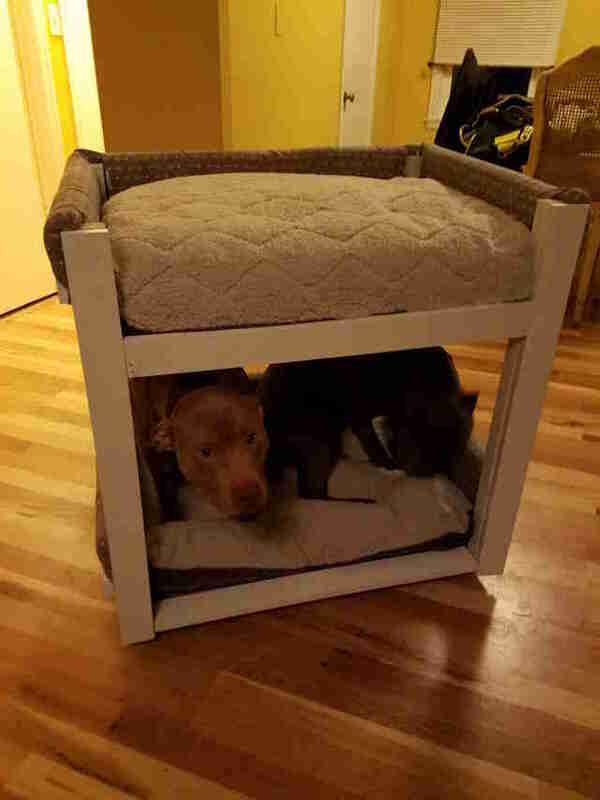 One of the pair’s favorite activities is snuggling up together, often in the same dog bed only meant to fit one of them, so their dad had the brilliant idea to build them a set of bunk beds — so they could always sleep together, no matter what. 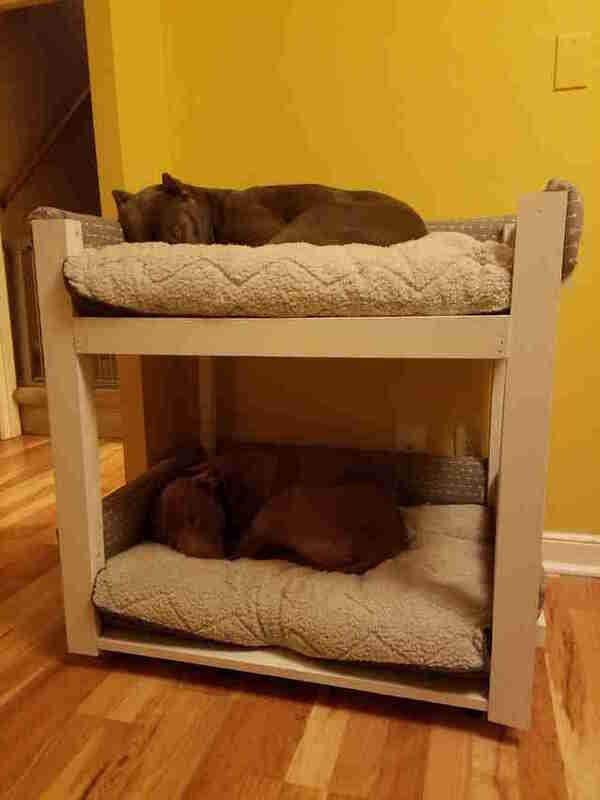 … but still end up sleeping in the same bed sharing the bottom bunk, because apparently, they just can’t get enough of each other. 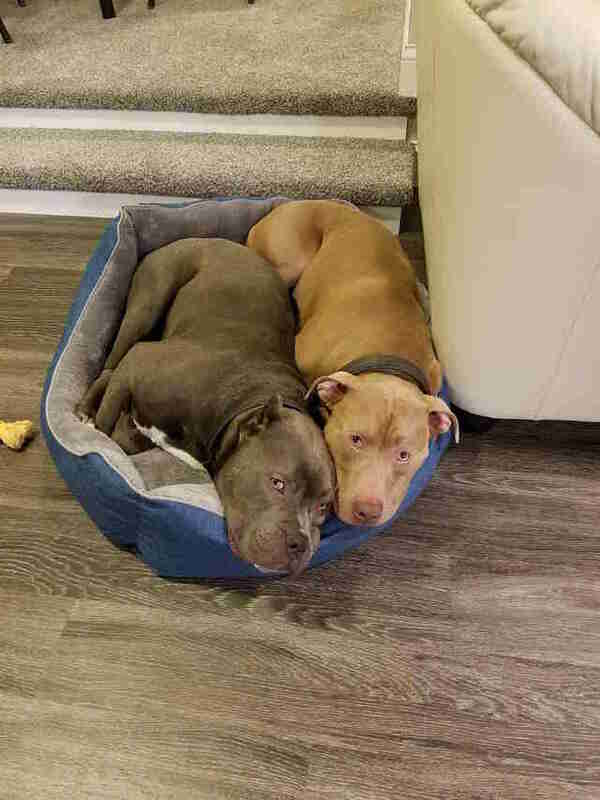 Maybe once the steps are made, the brothers will spend a little more time in their separate bunks — but probably not, because unlike many sibling pairs out there, these two LOVE to share.